Mobile tech has grown increasingly more complicated, while mobile markets are more diverse than ever, with apps for nearly every purpose and occasion. One of the biggest results? A nearly frenetic focus on mobile security as companies and developers rush to make sure all that mobile data is properly protected. 1. Rising Threats: As more data and more money flow steadily into the mobile market, security threats are destined to grow more common. Digital thieves will grow more adept on stealing mobile information and more willing to tackle mobile devices in the hope of finding sensitive information or stealing identities. As security services ready for this increase in threats? In some ways, the proof is definitely in the pudding: The security efforts today will play a key role in protecting devices in the coming years, and may determine how easily developers can keep up with hacking attempts. 2. More Employee Empowerment: Companies will start to give mobile choices over to their employees more readily, as seen with rising BYOD trends where people are encouraged to “bring your own device” to work. In many ways this takes security issues out of the hands of companies and puts them in the hands of app and OS developers, as well as network specialists. Handing the security problem off to others may prove a readymade solution to the mobile security issue, as long as companies can find vendors they trust. 3. …But Also More Company Control: Not all BYOD effects will enhance security. Personal devices can be stolen, lost, and left unguarded. While businesses may allow more personal devices in the workplace, security standards will also increase sharply. Mobile training will grow more robust, allowable apps will be severely limited, and updates rigorously required. Many companies will also require the ability to remotely wipe some or all of mobile devices if they are lost – hefty prices for the personalization of the workplace. 4. 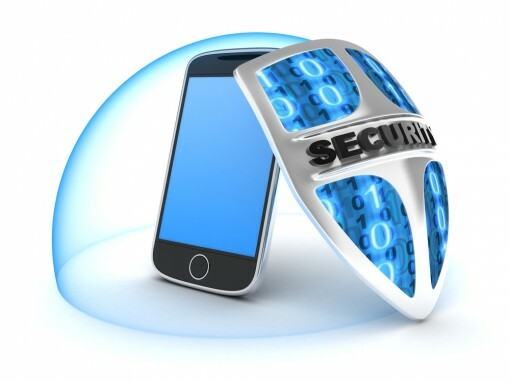 Two Smartphones in One: One potential solution to mobile security issues is a strict line within the phone itself using virtual private networking and set confidentiality levels. On one side of the phone, business apps and personal finance information will be heavily guarded and restricted in its own private space. On the other side, social and entertainment features will be available for personal use with easier access and fewer safeguards. 5. Skyrocketing Customer Awareness: As the Internet of Things grows, customer awareness of all the sensors around them will increase to. Marketers may be excited about the ability to track customer movement and habits around the clock, but will consumers be so thrilled? Chances are slim, and customers will vote with their wallets long before any limiting legislation is passed. Expect an escalating tug of war between privacy and the latest smart tech. 6. Fast Work in Digital Wallets: Digital wallets are certainly one of the most sensitive spots in mobile technology. Housing information on identity, bank accounts, card numbers and other important information, digital wallets need to stay ahead of the game in every way possible. Their natural network security features will be constantly augmented by specialists. Expect a constant series of digital wallet patches, and plenty of developers specializing in digital wallet security. 7. Focus on HTML5 Apps: HTML5 apps are one way that companies can develop proprietary mobile software that is flexible and can avoid some of the security issues that native apps create. They are also cheaper, lead to a key question: Will the growing number of HTML5 apps keep information safe, or provide a dangerous gateway for data thieves? 8. Predictive Security Continues to Grow: Big Data promises a revolution in predictive security, where it becomes easy to spot failed hacking attempts and predict where and how the most effective data theft will occur. This can lead to all-new methods of data theft prevention if used well.